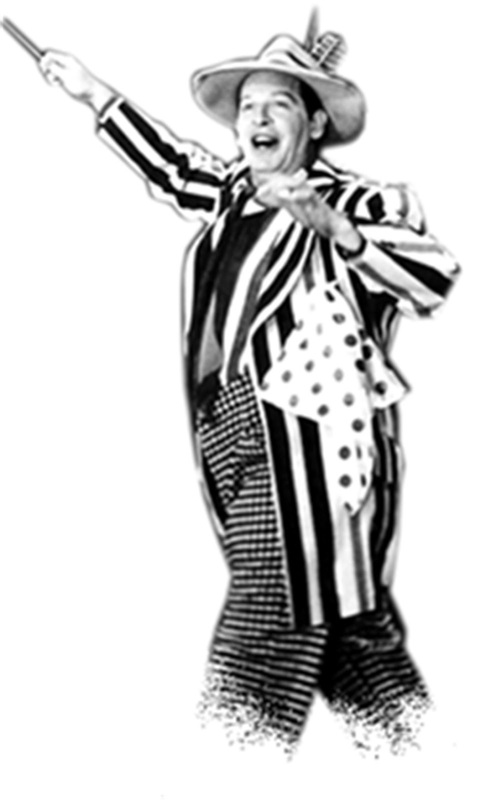 If you are of my age you grew up watching a black and white image of Milton Berle. Much to my delight he would dress up on many occasions. There is always a story behind the story for us, so here is his. I just have a feeling there is more to this story, although this is a good first time story. On the comedy program THE MILTON BERLE SHOW (aka, THE TEXACO STAR THEATER)/NBC/1948-56 slapstick comedian Milton Berle often donned women's clothing to get a laugh. During a 1998 interview on THE LATE LATE SHOW, host Tom Snyder asked his guest Milton Berle if he recalled the first time he dressed in women's cloths. Milton remembered he did so to visit a model he was ga-ga over. Because her hotel restricted men from visiting females in their room, Milton got a wig, dress, fur piece, hand bag and a pair of high-heel shoes from a local costume shop and then in full feminine regalia took the elevator to the 14th floor to rendezvous with his girlfriend. The next day, the young lady left Milton alone in her apartment. Milton having things to do, left the hotel but this time in the daylight. Holding his ill-fitting shoes in his hand, he took the elevator back down to the lobby. His female elevator operator seeing his shoes inquired, "Feet hurt, Honey?" Milton responded "Yes" in a high pitch-voiced. After exiting the hotel, Berle tried to hail a taxi cab (still dressed in drag) but not one of them would stop to pick him (or her) up. Consequently, as Milton related, "I had to walk all the way home in my stocking feet."